When a patient has been diagnosed with a heart defect, surgery may be required to fix the problem. 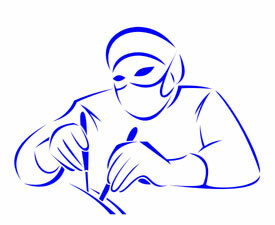 Open heart surgery means that the patient's heart will actually be opened up so that the surgeon can work inside of it. The heart’s pumping will be stopped and the blood will be rerouted around the heart chambers so that the heart will be still and empty, allowing the surgeon to work. The body’s continuing need for oxygen requires that the patient be placed on a heart-lung bypass machine, known as Cardiopulmonary Bypass or CPB. This machine performs the task of the lungs and heart by adding oxygen to the oxygen-depleted (venous) blood from the body and then pumping it back to the body. Venous blood is diverted from the heart chamber known as the right atrium (RA in diagram below) or the superior and inferior vena cavas and passed through the machine into the aorta, which takes it to the body tissues.